For most people who work with any tool types, what matters most is the quality of work and the results they get. In this case, what calls the shots is the type of tool, the process one goes through to get it, and its performance. However, even as one makes the effort, there’s always a challenge in getting the right tool. For workpiece cutting, the most common tool is a saw. With the different types, however, one needs to focus better for them to pick the right one. 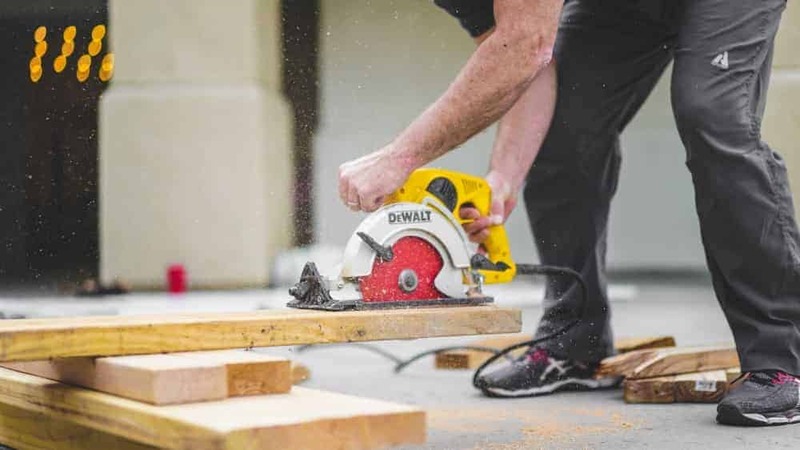 In light of that, this article sought to explore two types of these tools, that is, a skill saw vs. circular saw, explore their varied features, and similarities and differences. 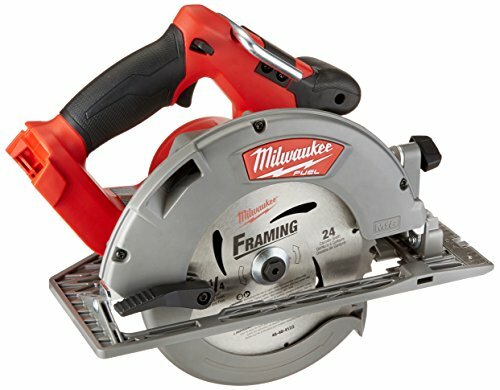 What is A Skill Saw? Skill Saw Vs. Circular Saw: Which is Better? A skill saw is defined as a power saw designed with a rapidly rotating and toothed disc. The name originated from around the turn of the 20th Century (1923-1924) when Edmond Michel and his partner Joseph Sullivan joined hands as business partners. Their partnership was mainly to manufacture and market the worm-drive saw that Edmond had invented in 1923. Together, the duo started a company, the Michel Electric Handsaw Company, which was later renamed to Skilsaw Inc. They also went ahead and filed for patents for the saw. The name of the saw was, eventually adopted from the company’s name. Skilsaw Inc. produced their first generation saw with a worm drive. 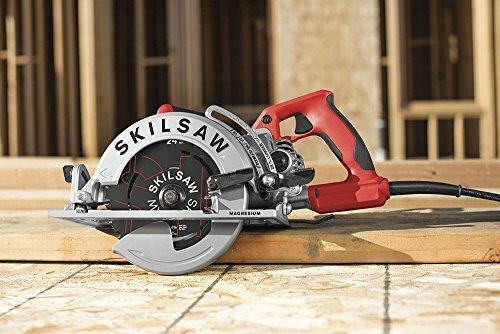 Over the time, the name Skil has been used to refer to any handheld circular saw since Skilsaw Inc. was the pioneer manufacturer of those saws. In recent decades, there has been an upsurge in the production of such kind of saws. Even though the tendency of using the name skill saw on them is lessening, people are yet to adapt to using the actual brand names for the saws. A circular saw is a power tool that’s used for cutting different materials, mostly timber to make lumber. The saw is designed with an abrasive disc or blade with sawing teeth and cuts the materials by way of a rotary motion spinning around an arbor. The first circular saw was produced in the late 18th Century and became a common tool in sawmills around the United States mid-19th Century. It’s now widely used for cutting wood, plastic, metal, or masonry materials either while mounted or handheld. The saw has also grown to be one of the most preferred due to the convenience it brings along. The user only needs to adjust the height and depth by lining the saw up to where they want it to make the cut. The saw is then pushed with enough force to make the cuts as it glides along or across the surface of the workpiece. For most professionals and DIYers, the circular saw is one of the top-trending tools they must have. Its versatility allows the user to do more, be it cutting wood or even harder materials like stone and plastic. So, an individual who wants to cut lumber can also depend on the circular saw’s prowess. As mentioned earlier, it’s worth noting that the term “Skil saw” has for long been a generic trademark for conventional handheld circular saws. Commonly, the term “circular saw” is used to refer to the handheld type of the circular saw franchise. Other types include the table saw and chop saw. From the 19th Century, the term skill saw has been widely used to refer to all circular saws since the onset of the first designs made by the Skilsaw Inc. company. As of today, the two are more or less the same only that the names are used based on the brand. A skill saw, in this case, is a circular saw produced by the Skilsaw company. Abrasive Saw: - this type is also called a chop saw or cut-off saw and features a circular blade. The saw is typically used for cutting hard materials such as tiles, metals, and concrete. The saw cuts the materials using an abrasive disc that is similar to a thin grinding wheel. Miter saw: - a miter saw is a power tool used for making accurate miters and crosscuts in a workpiece. The design is for the user to pull a large mounted circular saw blade or large backsaw downwards on a board in quick motions to make a cut. Carbide Saw: - this tools features tooth made from cemented carbide and has other types like carbide hot and carbide ring saws. Cold saw: - this saw is designed for cutting metal and uses toothed blade which transfers the heat generated by the cutting process to the chips that are created by the saw blade. Concrete saw: - a concrete saw is used for cutting masonry, asphalt, concrete, tile, bricks, and other solid materials. Its types include big walk-behind, chop-saw, and small handheld saws. Table saw: - this is a woodworking tool that consists of a circular saw blade usually mounted on an arbor and driven by an electric motor. The mechanism allows the blade to protrude through the surface of a table surface to provide support for the material being cut. Flip over saws:- these types of saws are usually a combination of a table saw and compound miter saw. Other common circular saws include the biscuit joiner saw, brushcutter saw, multi-tool saw, panel saw, pendulum, radial arm, sally, and swing blade saws. The circular saw (or skill saw, depending on the term you’re comfortable with) is used generally for cutting small boards. It’s a handheld tool but not one to scoff at. Despite it being small, it’s powerful and packs a huge punch. Also, the versatility it offers has seen it replace other larger saws over time. When it comes to precision, the circular saw is an almost perfect replacement for the table saw. It only takes a few measurements to make accurate cuts even in long and thick workpieces. If you want miter cuts, you will only need to align the shoe of the saw and then push. For beveled cuts, you only toy around with the bevel gauge until you get the right angle and then push the blade through the workpiece. The circular saw also boasts of speed cutting to fit the user’s desired speeds. It can also be used on a board or even on the ground. It only needs to be slightly elevated to give it enough clearance to pass through the boards in just one pass. The saw also brings along the ease of portability for people who keep on moving from one workspace to another. With it, you can change job sites with ease without the worry of storage and transportation. Also, since it’s a lightweight design tool, you can go with it to where the materials are instead of the vice versa. The saws have evolved too and safety has been the top point of focus for most productions. On that note, they are evidently more secure to use compared to the likes of the old radial arm and table saws. Saws are usually categorized by the diameter their blades cover. The most common diameters sizes are 7 and ¼ inch and such blades will cut through materials measuring more than 3-inces in thickness. While shopping for one, therefore, you should make sure to base your decision on the exact needs and the size and type of materials. The other consideration is the power the saw produces since it affects the performance as well as the results. The power, in this case, is expressed in amperage and the standard amperes nowadays are up to 15-Amp. Depending on your needs and how often you want to use the saw, the amperages may differ and your decision here will also be based on the exact applications you intend it for. Each power tool has its source of power, either electric or battery. The same case applies to saws with options of corded (electric) and cordless saws (battery-powered). 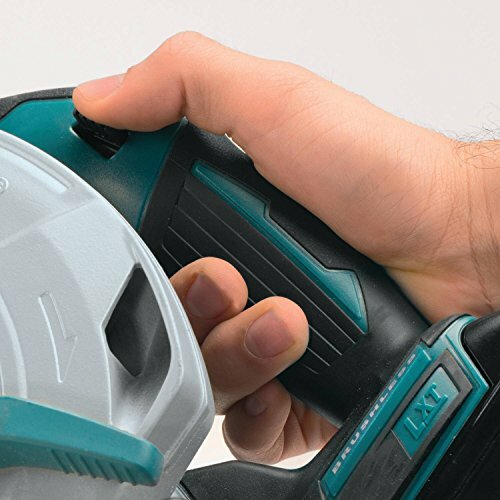 If your workshop has outlets and the needs demand so, you can go for a corded-electric saw. You will, in this case, need power adaptors, sockets, and extensions just in case you need them. If you’re usually on a mobile basis, a cordless option may be the best bet for you. A point to note is that the prices for these options will be varied and should be considered beforehand too. Different saws are designed with varied blade types. Most of the newer brands have carbide-tipped all-purpose wood-cutting blades even though other designs still exist. Even though this is the only one you might need since its multipurpose, you might want to consider other options too until you get a fitting one. If you need a saw for special purposes, you should get one without much of a hassle. For example, you can have a specialized metal, tile, wood, or concrete saw blade or for either of those materials. When it comes to the teeth, you can base the decision on how much work you intend to do with it. The overall design of the saw also matters and determines the comfort it delivers to the user. It’s important to note that all saws may look pretty much similar from a distance (except the color). However, the ergonomics can be different when you analyze them at a cross range. To learn more about a specific saw, it would be advisable to visit your store or supplier and test several. Here, you can check how the handle feels in your hands, whether the weight is right for you, and whether the saw is balanced. You should also check the visibility of the blades, adjustment components, as well as other features. Always ensure to wear protective gear like eye glasses, ear-protective headphones, and gloves. Also, avoid wearing loose clothes. Steer clear of the blade while working. Follow the manufacturer’s instructions on the safe usage of the saw. For protection against dust and dirt particles, you should ensure to have a reliable dust collection system and especially if your saw does not come with one. Keep the saw safe from moisture to protect it from rush and rust agents. Prevent the saw from overheating. Use the saw only according to the manufacturer’s recommendations and for recommended purposes. Regularly clean the blades to remove the excess materials and dust after every sawing task. While comparing the skill saw vs circular saw, it’s important to understand the dynamics behind each. It’s also important to note the history of each and how the designs have evolved. Also, it’s crucial to understand that a skill saw has also been for long used to refer to circular saws. This has been widely the case since most of the saws look similar to the ones the Skilsaw Inc. company has been producing.